1981, when this album was originally released, was a time when progressive rock was in a limbo period with the classic period long over and the so-called neo-prog era still on the horizon. 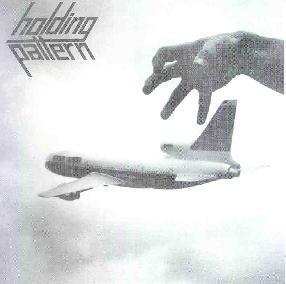 Connecticut-based Holding Pattern was one of the bands still burning the candle brightly and released this 4-song (29 minutes) instrumental powerhouse that combines the best of Happy The Man, Camel, and Steve Hackett. At this time the band consisted of Tony Spada on electric and acoustic guitars, Mark Tannenbaum on grand piano, Rhodes, Mellotron, Moog, and Hammond, Jerry Lalancette on bass, and Robert Hutchinson on drums and percussion. "Another Point Of View" and "Out Of The Tunnels" both bear a strong resemblance to Happy The Man. "Another Point Of View" is an especially powerful band effort with guitars and keyboards guiding the music through continually shifting themes. Spada's guitar style is reminiscent of the best of Steve Hackett and Andy Latimer. I've read some reviews that include Steve Howe but I don't hear it. The music has a majestic symphonic sound and is loaded with tasty guitar work that will make fans of classic progressive rock drool. "Out Of The Tunnels" is a similar track with intricate swirling keyboards, pounding rhythms, and Spada's guitar dancing ringside throughout. "Honor Before Glory" is more laid back melodic progressive tune recalling early Genesis, but particularly Camel before they turned completely to songs. The interplay between the guitars and keyboards really gives the music it's punch, with the focus being on melodic construction, atmosphere, and soaring, non-flashy guitar licks. On "Jigsaw Dream" Camel comes to mind again, though this time like an instrumental version of the album Breathless. In summary, a gem from the early 80's that all fans of 70's progressive rock will surely love. However, I also read on the Cleefo web site that this album was first reissued on Art Sublime with 10 bonus tracks in 1991 so I'd say interested readers would do better to try and track down that release.